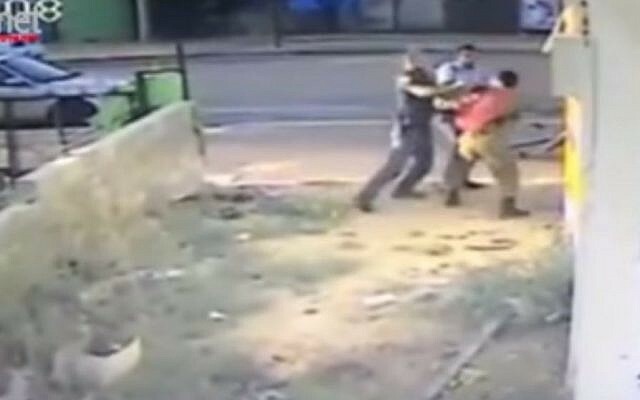 The Justice Ministry on Monday informed the High Court of Justice that it had offered a deal to a policeman suspected of assaulting an Ethiopian-born IDF soldier last year. If the officer admitted to the charges against him and agreed to be punished, he would not stand trial for criminal offenses, the ministry said in a statement. 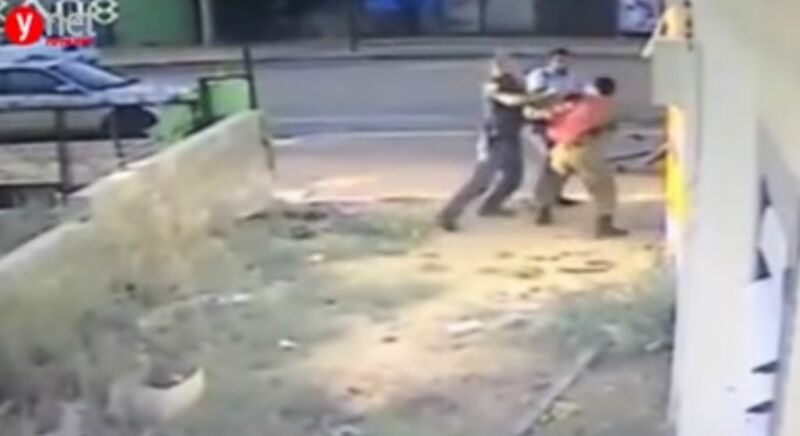 A video camera caught a police officer beating Damas Pakada, then 21, an Israeli soldier of Ethiopian descent, in the central city of Holon last April. 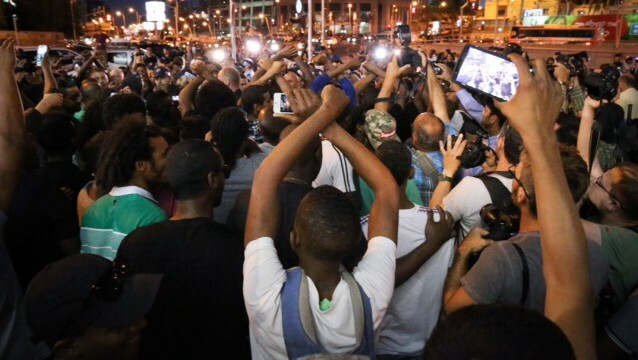 The incident reawakened anger in the Ethiopian community over perceived institutional discrimination and racism and touched off a string of rallies and riots in Tel Aviv and Jerusalem against police brutality. After investigating the Pakada case, the police originally decided to demote the officer, but said there was no reason to prosecute him. Former Attorney General Yehuda Weinstein decided to end the investigation claiming that it was the soldier who had provoked the clash. He cleared the officer of having any racist motive for his actions. Weinstein’s decision came after both the state prosecutor and the Police Internal Investigations Department had recommended that charges against the policeman be dropped. But in January, Attorney General Avichai Mandelblit told the government that he was he was considering re-opening the case, saying a review of the facts had thrown up “certain inaccuracies” in the way the sequence of events had been described in the decision reached by Weinstein. On Monday, the Justice Ministry told the High Court of Justice that criminal charges would not be brought against the policeman, if he agreed to the deal proposed. It gave no details on the possible punishment. As the court has not yet ruled on a gag order request from the officer’s lawyers, the policeman cannot be named. 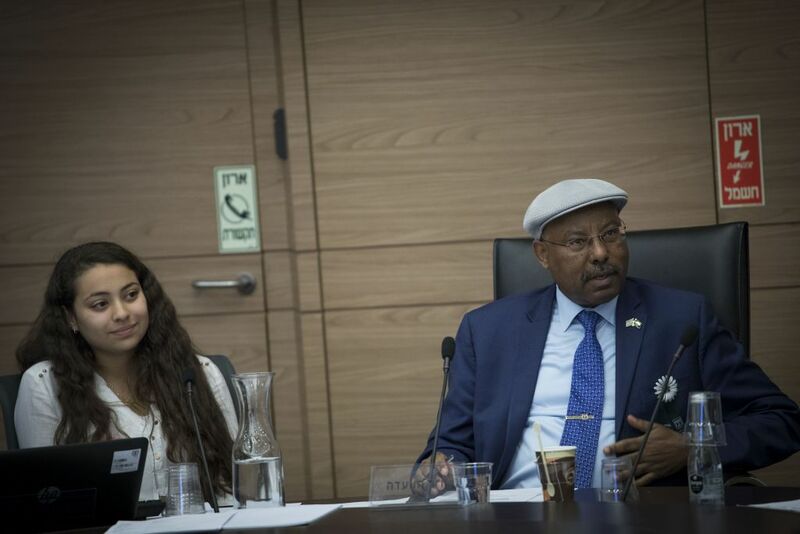 Dr Avraham Neguise (Likud), chair of the Knesset Immigration, Absorption and Diaspora Affairs Committee, on Monday welcomed the Attorney General’s decision to move against the officer, although he said it should have come earlier. “We can’t tolerate over-policing of any citizen in Israel,” he said. 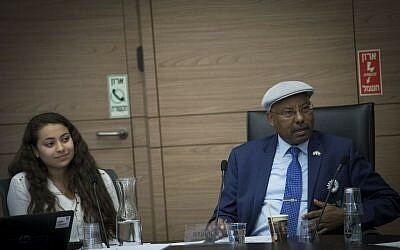 Neguise called for the probe of the Pakada incident to be extended to other cases of alleged police abuse of Israelis of Ethiopian descent, such as that of Yosef Salamsa, who committed suicide in 2014 after alleged police mistreatment. In February last year, the Justice Ministry department responsible for investigating the police said it was closing the criminal investigation of two police officers who used a Taser stun gun on Salamsa after receiving reports of a man trying to break into a building. Neguise added that he would continue to press for an amendment to the 1996 Criminal Procedure Law which he introduced a month after the Pakada incident, to require police engaged in arrests to wear video cameras. In December, Israel Police promised to equip police officers with body-worn cameras over the following year to increase transparency and improve the public‘s trust in law enforcement. “We’ll achieve justice, ” Neguise said. Pakada — an orphan who emigrated from Ethiopia with his four siblings several years before — was riding his bicycle when he noticed two officers cordoning off a street in Holon, near Tel Aviv, because of a suspicious object. The officer threatened to shoot him in the head, and they only let up only after he backed away and lifted a rock, Pakada claimed. “The cop told me, ‘I’m doing my job and if I need to put a bullet in your head, I would do it. 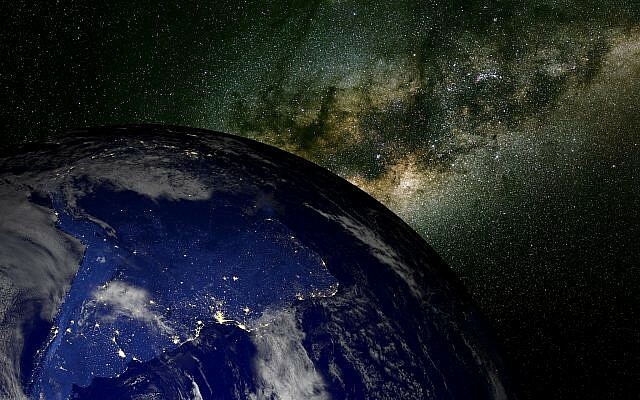 I am proud of my job,’” Pakada told the Ynet news site at the time. Several police then detained the soldier for alleged assault, although the footage showed that Pakada did not attack them with the rock in his hand. After the footage was obtained by Pakada’s family, he was released from custody, with police promising to investigate the matter. The protests sparked last year by the original incident included one in Tel Aviv in May in Rabin Square, which turned violent as protesters hurled rocks at police and officers responded with stun grenades and water cannon. The melee left 65 people injured, among both police and protesters, and led to 43 arrests. 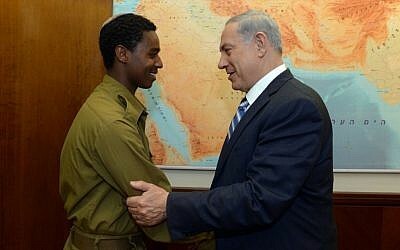 More than 135,000 Ethiopian Jews live in Israel, having immigrated in two waves in 1984 and 1991. But many have struggled to integrate into Israeli society among lingering accusations of institutional discrimination.